Aeolian Islands are an archipelago of volcanic islets drifting off the northern coast of Sicily in the Tyrhennian Sea. Bill Knott knows them well. Despite their diminutive size, the islands offer a fascinating diversity of flora, fauna and unspoilt scenery – from the lush vineyards of Salina to the fortified town of Lipari and the dramatic smouldering volcano of Stromboli. 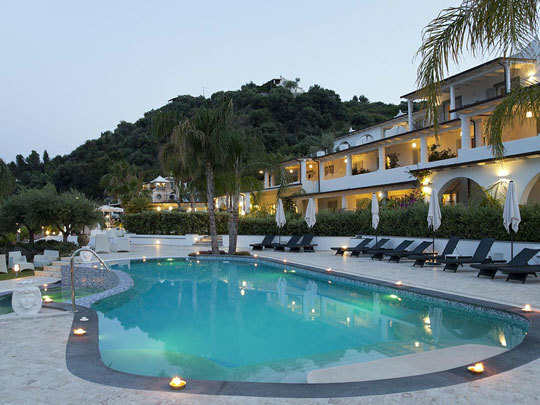 We will stay on Lipari, the largest island, at the four-star Hotel Mea (pictured below)(www.hotelmealipari.com), a charming boutique hotel in typical Sicilian style, which has 37 rooms (all with spacious balconies), a large outdoor swimming pool and an excellent restaurant specialising in local seafood. We will make excursions to three of the other islands, before spending a couple of days near Taormina, at the charming five-star Hotel Villa Neri (pictured below)(www.hotelvillanerietna.com) on the fertile slopes of Mount Etna. September is a lovely time of year to go: it is still warm but the crowds have gone. Depart Gatwick at 11.45am with easyJet, arriving into Catania airport at 1.55pm; we will be transferred by coach to Milazzo harbour, from where the hydrofoil will whisk us across to Lipari, where we stay for five nights. This morning we will begin with a tour of the island of Lipari itself, including the excellent Archaeological Museum. 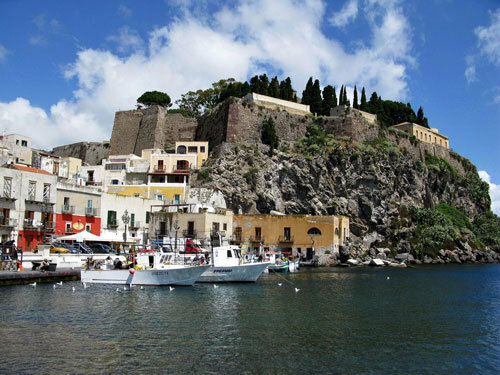 The largest of the Aeolian Islands, Lipari (pictured below) is situated at the centre of the archipelago, with views of Vulcano to the south and Salina and Panarea to the north. Its main town is home to a Norman cathedral and intact fortifications. After exploring the island we will relax with a lunch on the beach. Departing from the harbour, we will make the short hydrofoil journey to Vulcano, the southernmost of the Aeolian Islands. We will take a tour of the island, including its famous thermal springs, where you can enjoy rejuvenating treatments in the mineral-rich mud, and pause for a delicious lunch at Trattoria da Pina, in a quiet fishing harbour with a beach. Today will be spent on the neighbouring island of Salina. 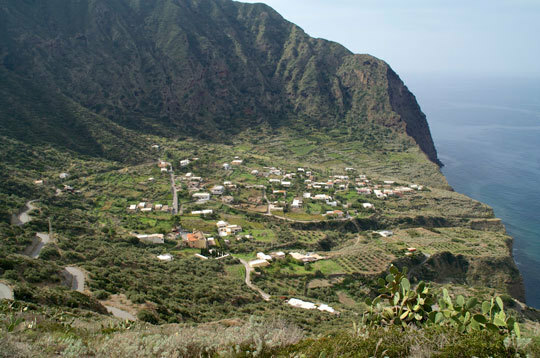 In contrast to Vulcano, it has a verdant landscape of wildflowers and vineyards, which produce Malvasia – a delicious white wine which was traditionally only produced here. We will enjoy wine-tasting at a local vineyard and a delicious alfresco lunch followed by a refreshing granita from Alfredo's – the best on the island. The morning will be free for you to relax, before we board a private boat in the afternoon, sailing to the active volcano island of Stromboli. Calling first at the tiny island of Panarea, we will continue to Stromboli, where we skirt the coast as dusk settles, reaching the spectacular Sciara di Fuoco lava flows. We will be collected this morning for the hydrofoil back to the mainland, and will be met again at Milazzo harbour for the coach transfer to nearby Mount Etna, a drive of about 90 minutes. 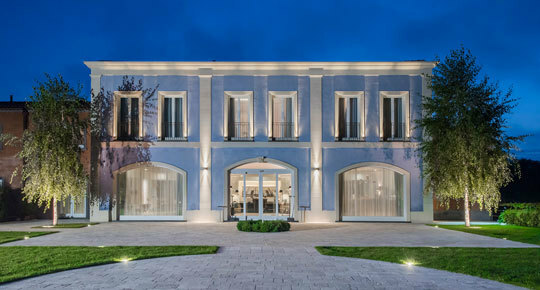 We will check in to the Villa Neri which has an excellent restaurant – where we will enjoy dinner, prepared by chef Elia Russo, using ingredients grown on the estate. Setting off from the hotel in the morning, we will drive farther up the mountain before taking a 4x4 vehicle and an expert mountain guide to the smouldering crater of Mount Etna – the largest active volcano in Europe. If you prefer, you can take gentle walking paths on the lower slopes, and we will return in the afternoon to celebrate the week with a relaxed wine-tasting at a local vineyard. Free morning before we are transferred back to Catania airport for the flight home at 4.30pm. We land at Gatwick at 6.50pm.